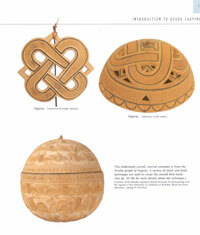 Complete Book of Gourd Carving - This is the first carving book devoted entirely to carving on gourds. 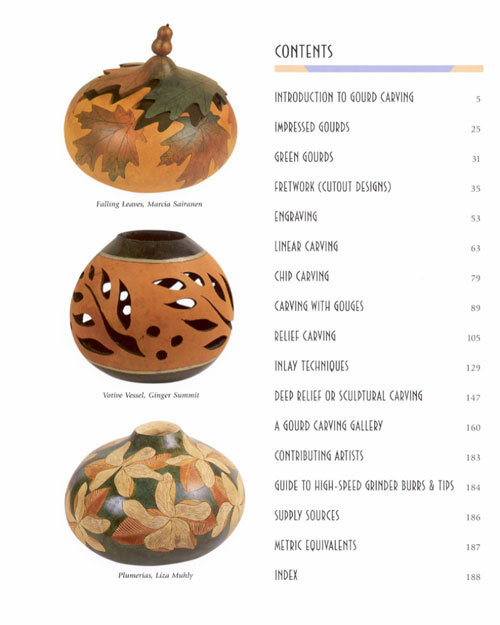 It is a definitive how-to book for fretwork (cutouts), engraving, linear carving, chip carving, gouge work, relief carving and inlay using hand tools and powered rotary carvers on gourds. 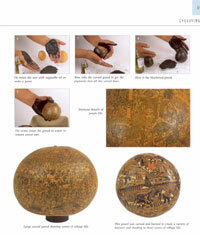 Wonderful historical examples from Africa, Asia, the Pacific Islands and South America. 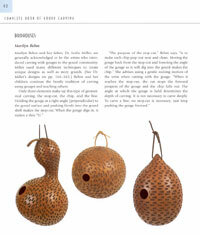 Make intricate cutouts with hand tools and miniature gourd saws. 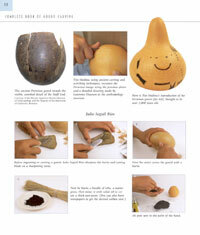 Discover age-old Peruvian carving technqiues using the handmade burin. 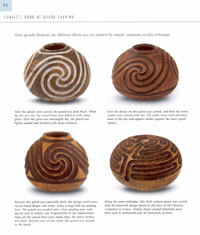 Study how simple variations on a theme can make dramatic differences in your design. 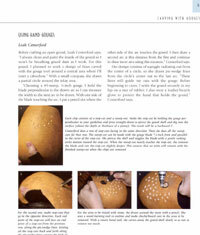 Be the first in your gourd patch to learn several methods of chip carving. 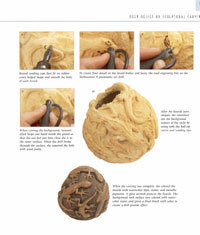 You’ll see gouge work that’ll knock your socks off. 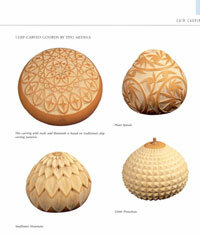 Be amazed by relief carving created using hand and power tools. 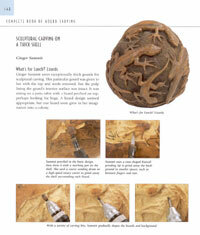 Learn how to use various inlay materials to create stunning work. 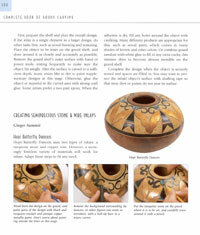 Includes a tutorial for using Inlace products. 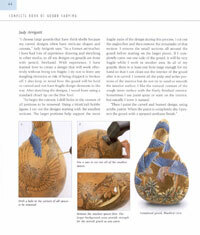 "This is one of those books you need to look at, put down, pick back up, and go through several times. You will find something new each time. 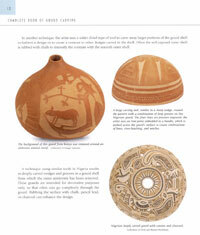 The book is well laid out with a good basic history as well as a wonderful variety of techniques and good examples shown in large color photos. 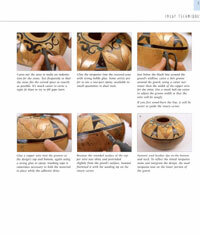 Though there are "projects", it is more a springboard book in that it is intended to give a brief summary, examples, and then lets the reader explore on their own. 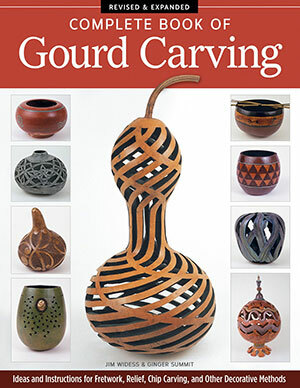 Jim Widess and Ginger Summit have provided the seasoned gourd veteran and curious beginner alike with a book that adds a bounty of ideas to an art form that has been developed by people all over the world for centuries.